What Day Of The Week Was January 8? 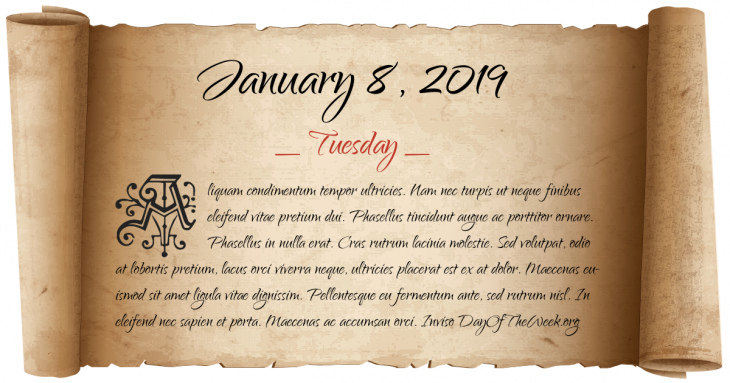 January 8, 2019 was the 8th day of the year 2019 in the Gregorian calendar. There were 357 days remaining until the end of the year. The day of the week was Tuesday. Ella T. Grasso becomes Governor of Connecticut, the first woman to serve as a Governor in the United States other than by succeeding her husband. Who were born on January 8?